Auguste Brouet was born and raised in a poor family in the popular north-east quarters of Paris and in Les Lilas, in the near suburbs. 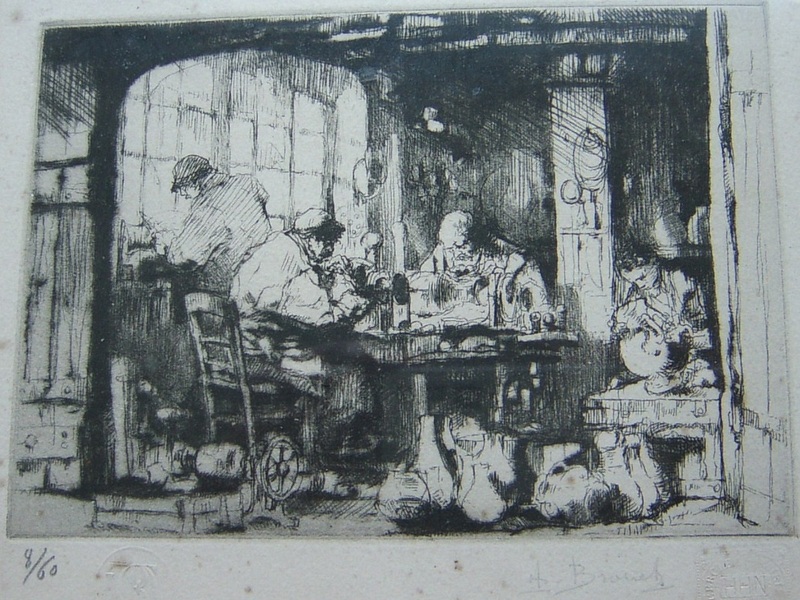 While apprenticed to a lithographer, he struggled for artistic education through the evening drawing classes of Eugène Quignolot, also briefly attending Gustave Moreau's atelier.Starting from around 1895 he would make a living by doing hack work for fashionable artists and also crafting reproductive etchings in color, in the workshop of Eugène Delâtre. Around 1902 he started to devise original etchings, sometimes larger pieces in color, more often smaller works in black and white:381, as was the growing trend at the time.